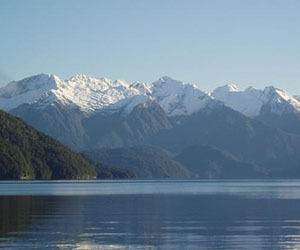 Darryl Sycamore was re-appointed to the Guardians of Lakes Manapouri, Monowai and Te Anau, while Susan Bennett and Madeline Peacock of Te Anau, and Thomas Ives of Nelson were appointed Guardians. The Guardians are a statutory body, established under the Conservation Act 1987 as a result of the Save Manapouri campaign. The Guardians also make recommendations to Government concerning the operating guidelines for these lakes. They report annually to the Government on matters arising from the environmental, ecological and social impacts of the power schemes on lakes Manapouri, Monowai and Te Anau. The appointments are for terms of five years. There are currently eight Guardians of the Lakes: Teri McClelland, Bill Jarvie, Jane Davis, Muriel Johnstone, Darryl Sycamore, Sue Bennett, Madeline Peacock and Thomas Ives.